Many birds around the world have responded to warming temperatures by advancing their breeding phenology, initiating and fledging nests earlier in warmer years. These shifts are primarily considered a means to maintain synchrony with insect availability in the spring. Meanwhile, poleward range shifts are thought to be the main mechanism by which birds track their optimal environmental conditions for survival and reproduction. 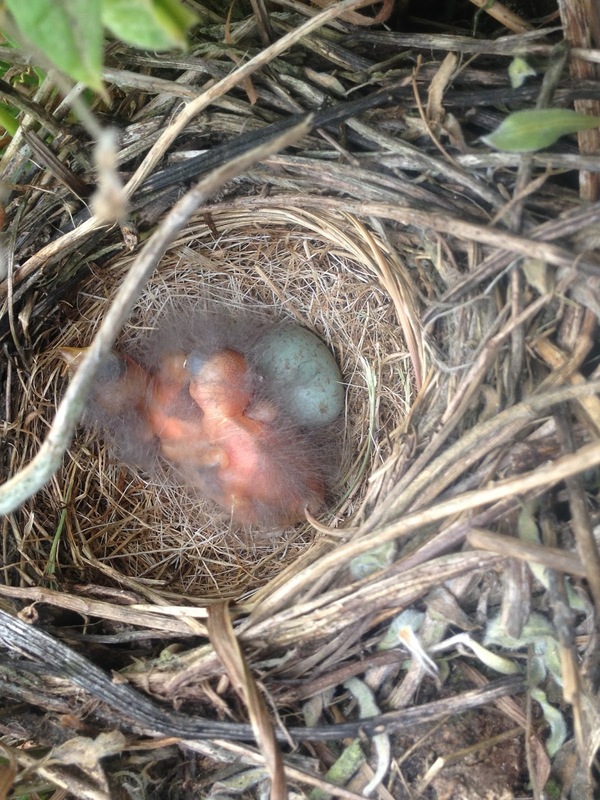 White-crowned Sparrow (Zonotrichia leucophrys) nestlings in California. Photo by Sam Roberts. However, a study of bird communities in California that was recently published in PNAS suggests that phenology shifts can also serve to maintain environmental niches in the spring. The research team, led by Jacob Socolar, found that birds have advanced their breeding phenology between 5-12 days over the past century, essentially negating a 1 degree C temperature increase over the same time period. In other words, the birds have used phenological shifts to maintain a particular temperature niche, which may reduce the need for range shifts. Socolar's group also found that nesting success changes with temperature anomalies; in the warmer parts of a species' range, hot years are associated with low nesting success. 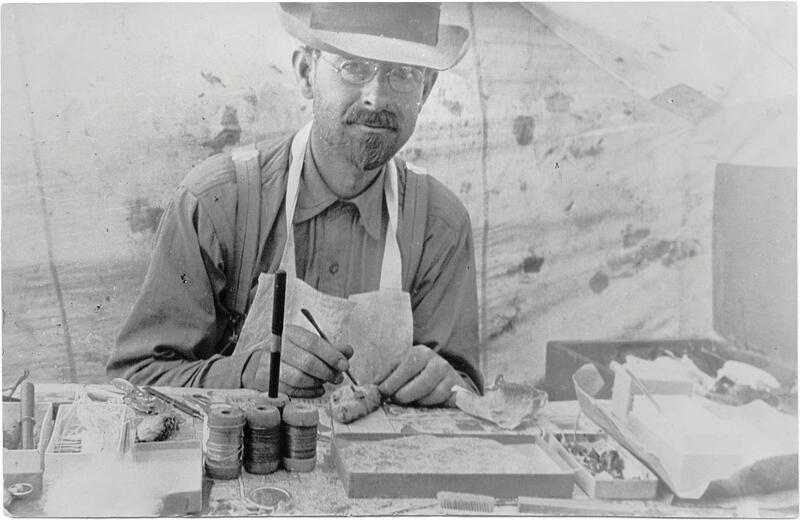 Socolar's team combined observations by Joseph Grinnell (pictured above, preparing specimens in the field) and other observers in the early 1900's with more recent observations, to examine phenology shifts over the past century. Photo from the Bancroft Library/University of California. This study is an important step forward in understanding the mechanisms behind shifting phenology: birds that nest earlier encounter cooler temperatures and increase their nesting success. 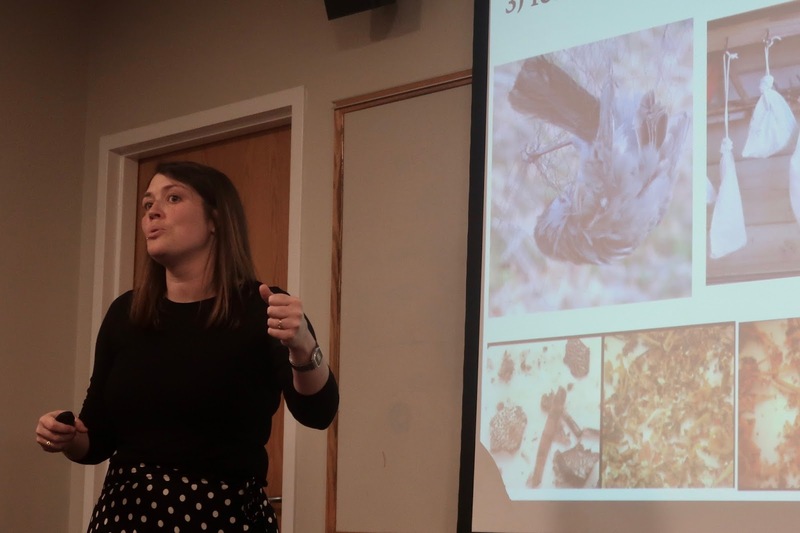 As Richard Primack pointed out in an Audubon article highlighting this study, the next important step is to identify the specific links between temperature and nesting success, which may include heat or drought stress, or even insect availability. Millions of herbarium specimens are being digitized every year and made available online. In the USA, this effort is being led by the iDigBio program, and involves hundreds of institutions in the USA, Europe, China, Australia, and elsewhere. These massive digital datasets allow scientists to carry out ecological, evolutionary, and climate change research far more quickly and easily than ever before. In three recent papers many scientists, including ourselves, have shown some of the opportunities and limitations of research using herbarium specimens. Botanists have always known that herbarium specimens can be a valuable source of information on when plants flower and mature their fruits. In their review article, Willis et al. (2017) summarize the range of climate change projects that have used herbarium specimens to study phenology and climate change in contrast with long-term field studies. In two case studies, they demonstrate that herbarium specimens typically cover a broader geographic area and sample from a wider variety of climatic situations than field studies, and that herbarium specimens can be used to detect the effects of climate change on a wider range of phenological events, like the leafing out times of trees. The review also underscores the promise of integrating herbarium specimen data of flowering dates with other historical datasets of flowering times, such as field observations and dated photographs, to best characterize the impacts of climate change on plant phenology. Pearse, W.D., C.C. Davis, D. Inouye, R.B. Primack, T.J. Davies. 2017. Measuring the limits of phenology: estimating synchrony and variation in contemporary, historic, and citizen-science datasets. Nature Ecology and Evolution 1, 1876–1882. Until recently, climate change researchers did not have a good method for combining first observations of flowering time in the field with dates of peak flowering obtained from herbarium specimens. To deal with this problem, Pearse et al. 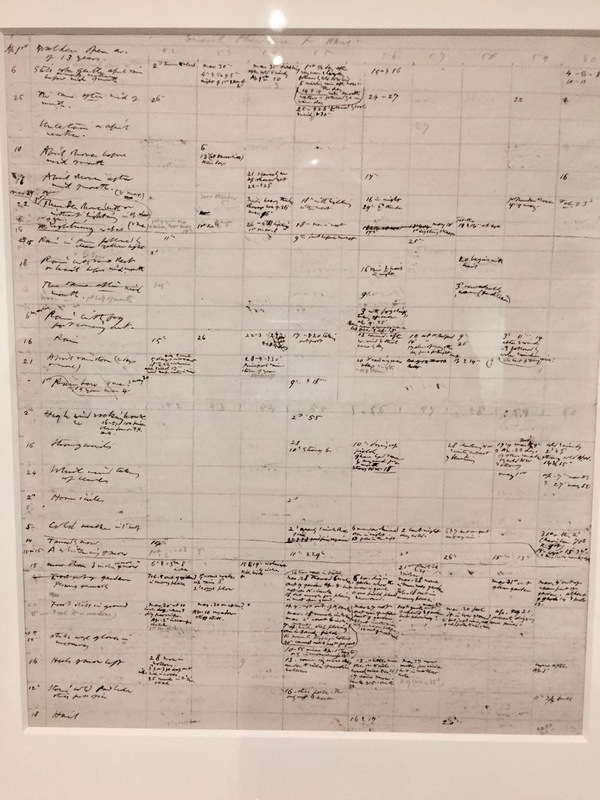 (2017) demonstrate a new, robust statistical method to estimate historical first flowering dates from herbarium specimens collected from around Massachusetts and then compare these dates to observations of first flowering from Concord, MA made by the famous environmental philosopher Henry David Thoreau in Concord in the 19th century. 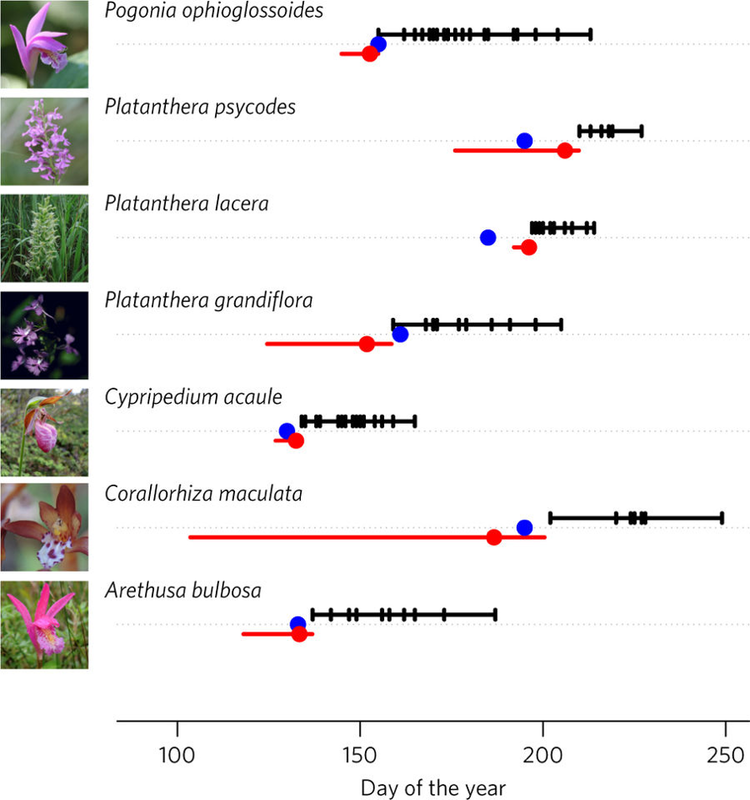 Pearse and colleagues also demonstrate that their approach can be applied to large citizen science datasets like those gathered by the National Phenology Network and the extensive flowering time records collected over decades at the Rocky Mountain Biological Lab. This new statistical method opens the way for an expanded role for herbarium specimens in climate change research that combines diverse types of phenological data. If ecologists, climate change biologists, and other researchers do not appreciate the biases of herbarium collections and other museum collections, this could lead to mistaken conclusions. In this study, Daru and his colleagues examined over 5 million digitized herbarium specimens from South Africa, Australia, and New England and determined that specimens were more frequently collected closer to roads and herbaria than other places, threatened species were collected less than other species, and collection efforts were disproportionately focused in some closely related groups. Also, a high percentage of specimens were collected by a small number of very active collectors, likely biasing collections toward the groups of plants these collectors preferred. Future studies using herbarium specimens for novel research projects, especially focused on diversity, distribution, and comparative evolution, will need to take these biases into account in order to avoid erroneous conclusions. 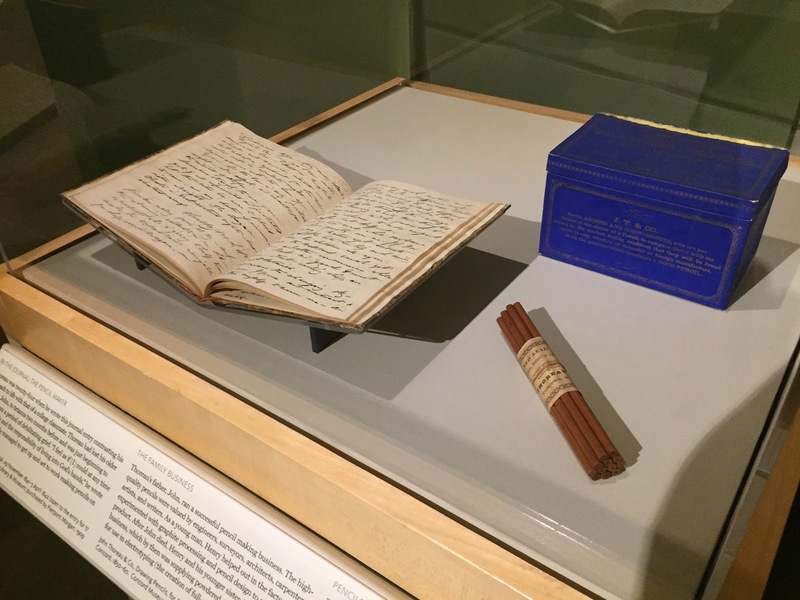 The Concord Museum has a new special exhibit that combines Henry David Thoreau’s journals and objects, highlighting many facets of his life, such as being an observer, a writer, a naturalist, a surveyor, and a writer. 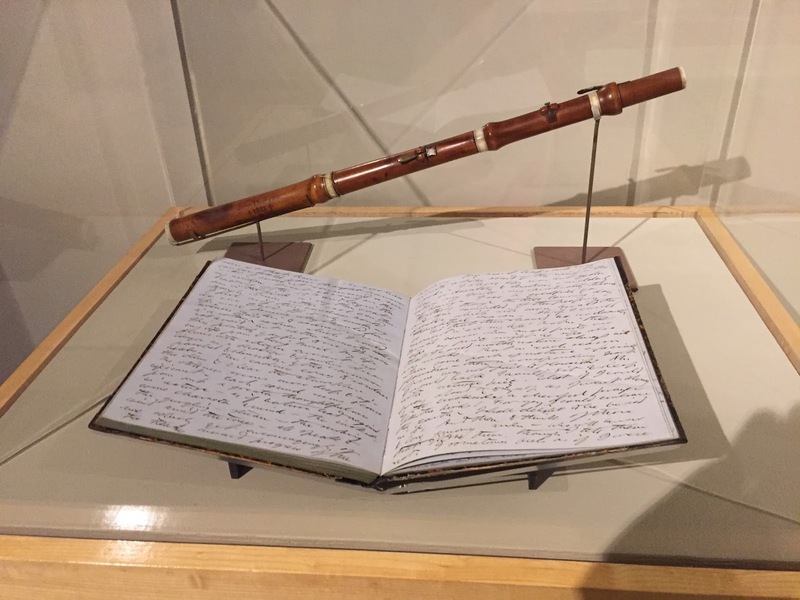 The exhibit reunites journals from the Morgan Library in New York with objects from the Concord Museum and elsewhere that are normally housed separately. The exhibit will continue until January 21, 2018. “If one advances confidently in the direction of [her] dreams, and endeavors to live the life in which [she] has imagined, [she] will meet with success unimagined in more common hours.” -Thoreau, in Walden. 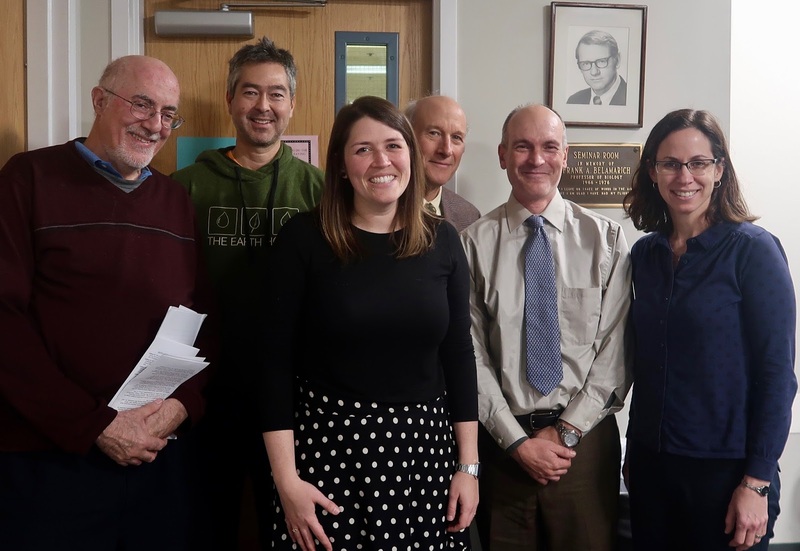 Congratulations to Amanda Gallinat for the successful defense of her doctoral dissertation “Effects of climate change and species invasions on autumn phenology and bird-fruit interactions in Massachusetts, USA.” Amanda’s thesis was notable for the strong connections between successive chapters, and her large number of collaborators and co-authors both at BU and elsewhere in the USA and internationally. Also, the first chapter of the thesis, “Autumn, the neglected season in climate change research” has already been published in the high-impact journal Trends in Ecology and Evolution. And the second chapter on using herbarium specimens to monitor fruiting phenology was accepted for publication in the American Journal of Botany two hours before the defense; great timing! Amanda with her committee members after her successful defense! 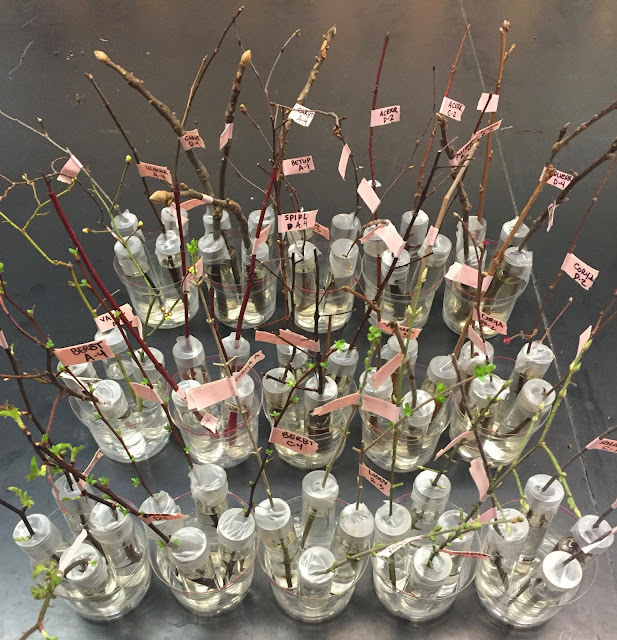 For the last five years, the Primack Lab has been part of a collaborative effort to monitor leaf-out, leaf senescence, and fruiting times at a network of seven international botanical gardens. We recently published an overview of this collaborative work in the Arnold Arboretum's magazine, Silva. In the article, we describe how the living collections of botanical gardens have allowed us to monitor the phenology of an enormous range of species; with our colleagues, we have monitored >1600 species for leaf-out, 1360 species for leaf senescence, and several hundred species for fruiting. Our lab conducts our observations right here in Boston, MA, at the Arnold Arboretum. The group's observations across botanical gardens and years have demonstrated that species leaf-out and fruit in a consistent order from year to year and place to place (and related species have similar timing), while the order in which species change color and drop their leaves is not consistent across space and time. 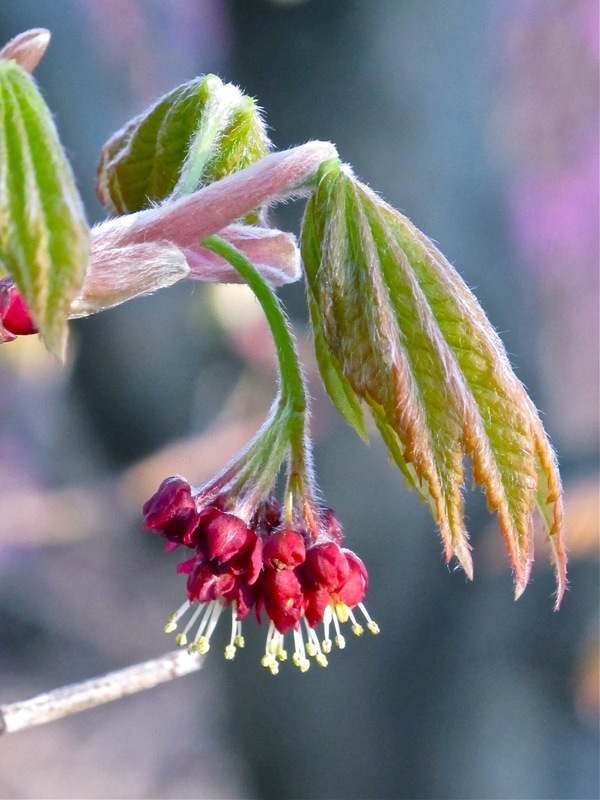 Uncovering these and other patterns in the spring and autumn phenology of many species has given us new insight into the rich natural history present at the Arnold Arboretum (our home site) and other botanical gardens, and helps us understand how plant schedules will respond to climate change. We gathered dormant twigs from 15 species of woody plants and exposed twigs from each species to four humidities ranging from 20% to 94% relative humidity. We then monitored the twigs daily for a month to see if twigs in higher humidity treatments leafed out before those exposed to lower humidities. The title of the paper gives away our main result: We did not find any consistent, measurable effect of high humidity advancing leaf-out. We also did not see patterns of progressively earlier leaf-out in successively higher humidities. Given our results, humidity does not appear to be a determinant of spring leaf-out in these New England plants. During the past 100 years as global temperatures have risen, the date of the first autumn frost has gotten a week or more later, as reported in an Associated Press story by Seth Borenstein, entitled "Science says: Jack Frost nipping at your nose ever later". Late autumn frosts combined with early springs result in a growing season that is now several weeks longer in much of the United States. This year’s warm October temperatures have delayed Boston’s autumn, with night-time temperatures above freezing through November 1. Across the northeastern United States, the mild weather has held back the the vibrant leaf colors associated with the autumn season, as described the Popular Science article, "Where the heck is autumn?" by Rachel Feltman. As November begins, many trees and shrubs in the Boston area are still covered with green leaves, many ornamental plants are still flowering, and bees and butterflies are still flying. 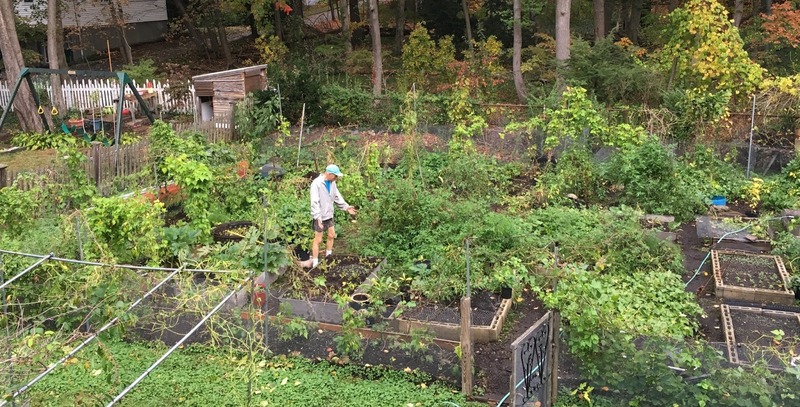 Closer to home in our garden in Newton, we are still harvesting tomatoes, lettuce and other salad greens, parsley, beans, and zucchinis as November starts. Most surprisingly, we are eating fresh figs every day from our fig trees. We are in eastern Massachusetts, but the weather and the season seem like somewhere hundreds of miles to the south. After nine years, I recently stepped down as Editor in Chief of Biological Conservation. I supervised a team of 9 Editors, handling over 14,000 submissions, and eventually publishing over 3,000 articles that advanced our knowledge and provided practical value for people protecting biodiversity in the field and developing policy. 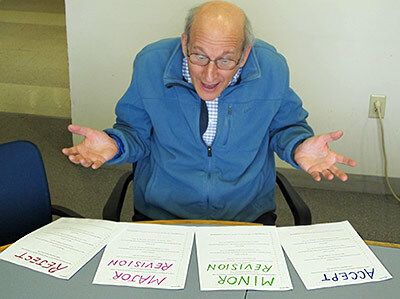 We published many Special Issues on topics of current interest. For example, articles in the special issue on environmental DNA showed that the presence of rare species and newly arrived invasive species in lake or river could be detected from a few molecules of DNA in small water sample. And our Citizen Science issue described how to work with networks of volunteers in conservation projects. We examined the editorial process of the journal, finding there was no bias in acceptance rates of papers submitted by female authors, though individual editors had different acceptance rates. We learned that Chinese and Indian scientists often worked on weekends, Japanese and Mexican scientists often worked at night, and European scientists tended to work typical office hours. We evaluated how reviewer recommendations affected acceptance rates, and determined that a “Reject” review was like the “kiss of death.” And finally, we described problems that co-authors sometimes encounter in working together, and provided constructive suggestions for co-authors. As Editor in Chief, I always tried to recognize that authors needed to be treated as individuals, and in many cases I could assist them with particular issues. We helped many young scientists to publish their first paper in an international journal, and establish their careers. In the end, we were able to create a community of authors, reviewers, editors, and readers, who could cooperate to advance our knowledge in the field of conservation biology. The Charles River is a natural history treasure for the people of Boston. 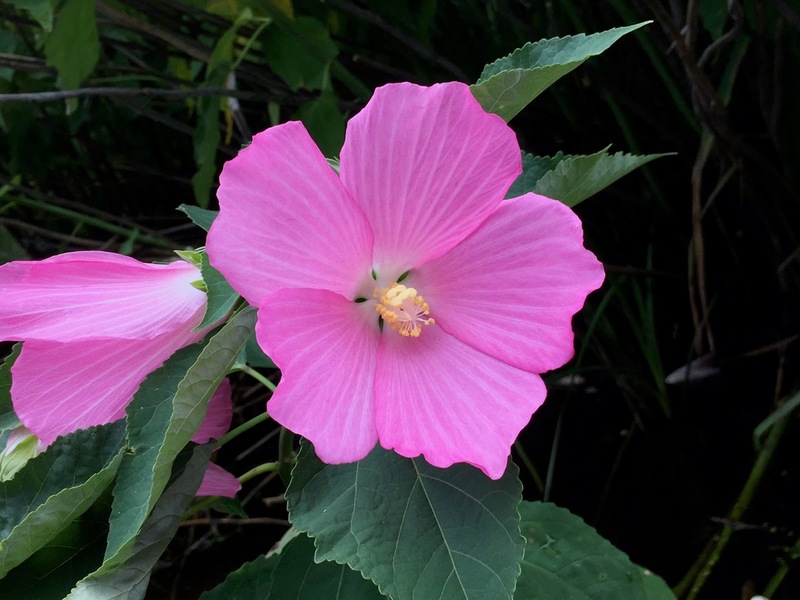 In July, my son Dan and I went kayaking and observed the most astonishing display of rose mallow plants flowering along the banks of the Charles in West Roxbury, Dedham, and Needham. There were thousands of gigantic plants, many of them with dozens of 6 to 10 foot tall stems, and covered with huge saucer sized pink blossoms. The most impressive display of flowers was on an island in the Motley Pond region of the river. 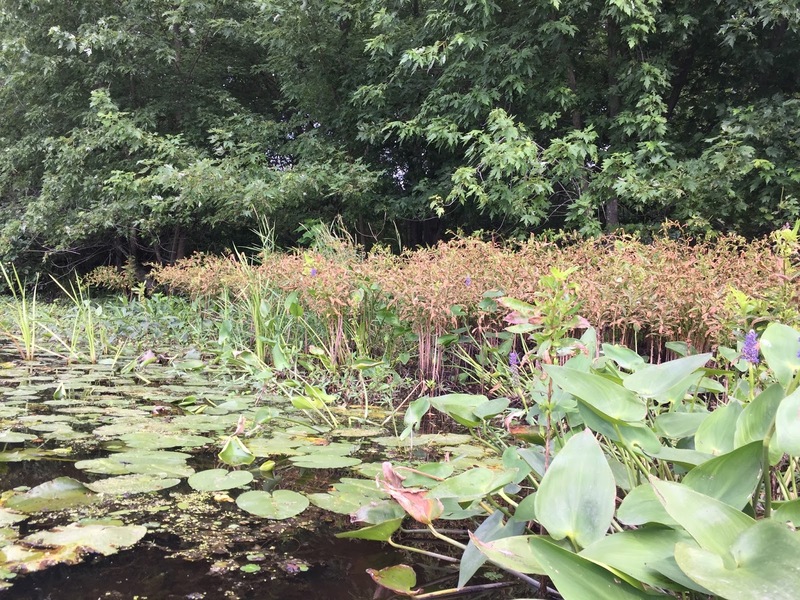 Large patches of dying purple loosestrife plants could also be seen along the river. 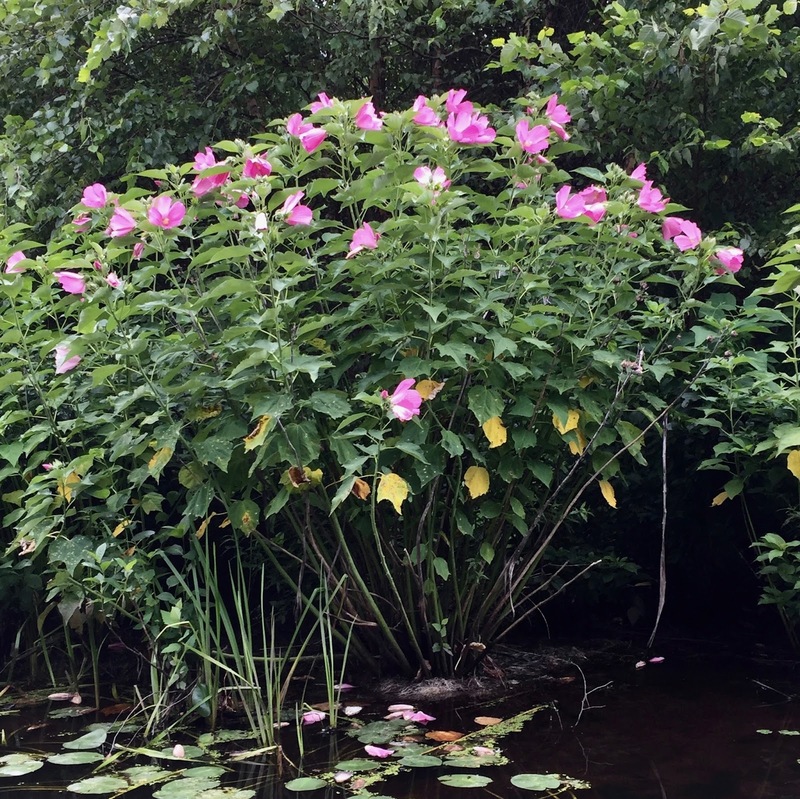 This beautiful European ornamental plant has been an aggressive wetland invader over the past 4 decades, out-competing native species. In recent years, European beetles that specialize on purple loosestrife have been released as a biological control program. 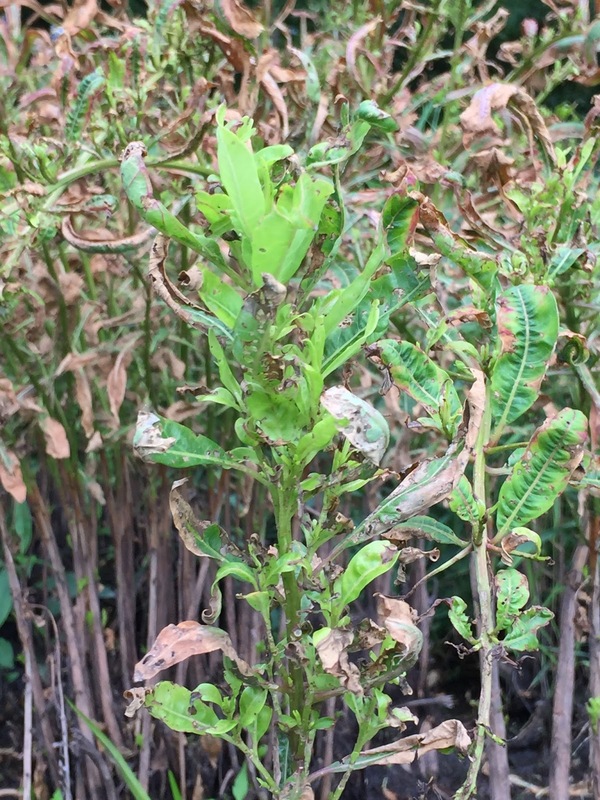 And by the looks of these highly damaged plants, the beetles have won the fight. Thoreau in his Correspondence. 1848. Last month I returned to my dissertation research site at Acadia National Park. But instead of hiking the ridge of Sargent Mountain to record this year’s flowering and leafing times, I plumbed the depths of Sargent Mountain Pond for evidence of past plant life that once fringed the granite kettle hole. I’ve traded historical ecology for paleoecology, and in my new postdoc position in Jacquelyn Gill’s BEAST (Biodiversity & Environments Across Space and Time) lab, I will focus on pollen grains trapped in ancient lake sediments. Coring Sargent Mountain Pond: Caitlin pushes the corer into the lake sediment below the raft while Jacquelyn ties off the cable connected to the corer's piston. I timed this fieldwork to coincide with a Sierra Club project: all week a group of Sierra Club members volunteered in Acadia. 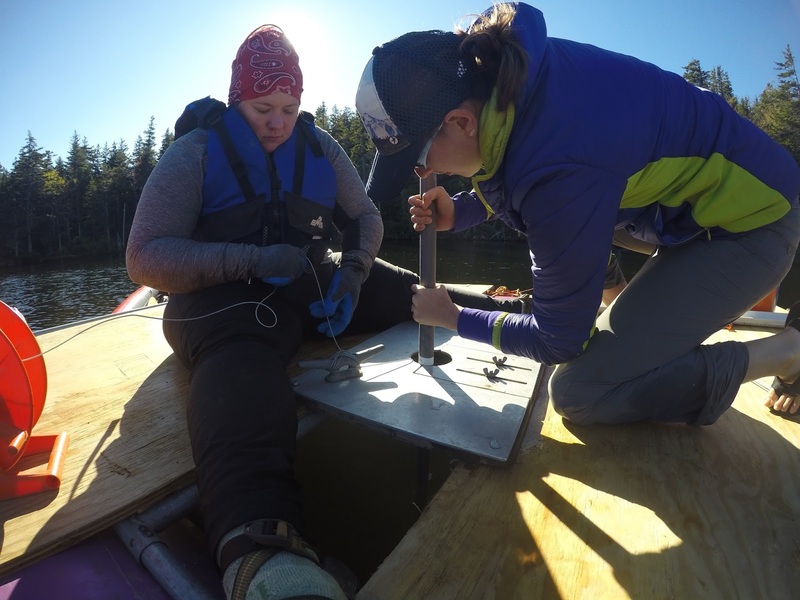 On Tuesday, they joined me and the BEAST lab as we hauled coring equipment — including giant inflatable pontoons and two 4x8’ plywood deck pieces — up to Sargent Mountain Pond. We carried in giant inflatable pontoons for a raft and two 4x8’ plywood decks: a major feat on a challenging trail. We hiked it all in, assembled the raft and inflated a kayak, and then launched our floating field site on to the pond. 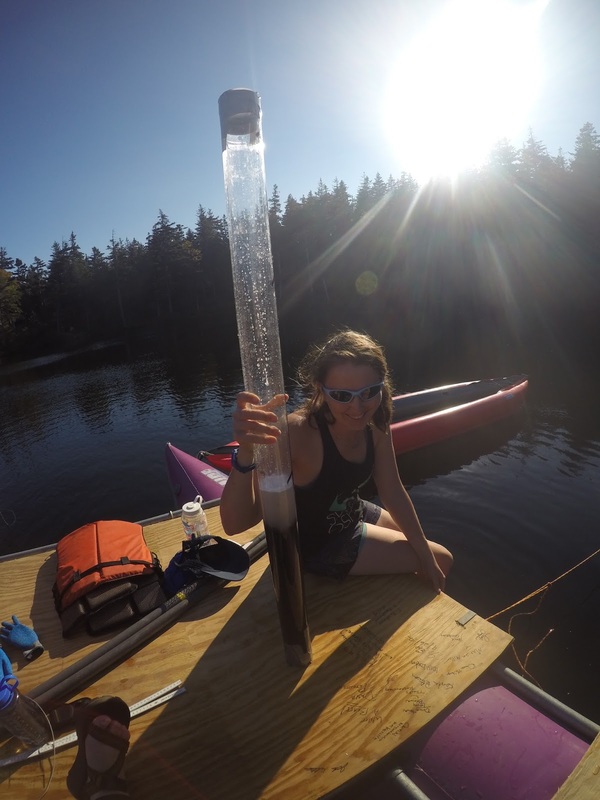 From our raft, we extracted cores of sediment from the deepest basin of the pond — over 11 feet deep — using a piston corer. The piston corer allows us to push deep into the lake bottom and pull up 1 m of sediment in each drive. Over the course of three days we cored nearly 9 meters of sediment. These cores represent a journey through over 4 meters of organic material under Sargent Mountain Pond, into the grey sands of a glacial landscape. We cored 4 meters deep twice: two overlapping records will give us a continuous chronicle of pollen through the last 15,000 years. Caitlin celebrates with her first core! We cored Sargent Mountain Pond because it sits just below treeline in Acadia and subalpine plant communities grow at its edge. As the Laurentide ice sheet retreated, Sargent Mountain Pond emerged as the “first pond in Maine”; the rest of its limnological siblings were under still ice. Previous coring research at Sargent Mountain Pond has confirmed this and sediments in the basin are over 16,000 years old. The pollen trapped in the pond’s sediments will help us to answer questions about the history of the subalpine plant communities around Sargent Mountain Pond. How dynamic is treeline on Acadia’s granite ridges? Have Mount Desert Island’s subalpine communities persisted here since the last ice age? How have these species responded to past climatic changes? It was lovely to be back in Acadia for fieldwork and I’m looking forward to splitting open our cores to study the long ecological history of this site. It is a hot summer day, and dozens of young people and families with children are enjoying swimming and wading in the two coves of Crystal Lake in Newton Center. All this is taking place in areas with large, clearly posted “No Swimming” signs, and warnings that swimmers can be arrested for trespassing. What exactly is going on? In a recent issue of the Newton Tab, I address this topic. For decades, Newton residents have enjoyed safe swimming in the lifeguard-supervised area of Crystal Lake. But over the last six years, adults and children have increasingly been swimming illegally in the nearby coves. The advantages of swimming in these areas are obvious: they are quiet, with a relative lack of crowds, they are available when the official swimming area is closed, there are no restrictions on food and drinks, and there's no need to pay for a permit. In 2012, some Newton residents petitioned the city to allow swimming at your own risk in the coves; similar policies are in place at Walden Pond State Park in Concord. But the Newton government was unwilling to allow cove swimming and it remains illegal. Enforcement by police, however, is weak or nonexistent. What are the main arguments against allowing swimming in the coves? First, swimming in the coves violates posted regulations, so it might contribute to disrespect for the law. Second, there are no lifeguards, and the city might be liable for injuries and drowning. And third, noise and parked cars disturb some local residents. Thus far, the city and residents have been unable to develop a consensus solution to deal with cove swimming. Such a consensus would include policies that enhance swimming opportunities, swimming safety, residents’ rights, and the lake’s health. This is easier said than done, but it provides a goal to work toward. If Thoreau were around today, what would be his advice? Transgress unreasonable laws? Or head into the woods and avoid the crowds? In August, I visited the Morton Arboretum in Chicago. 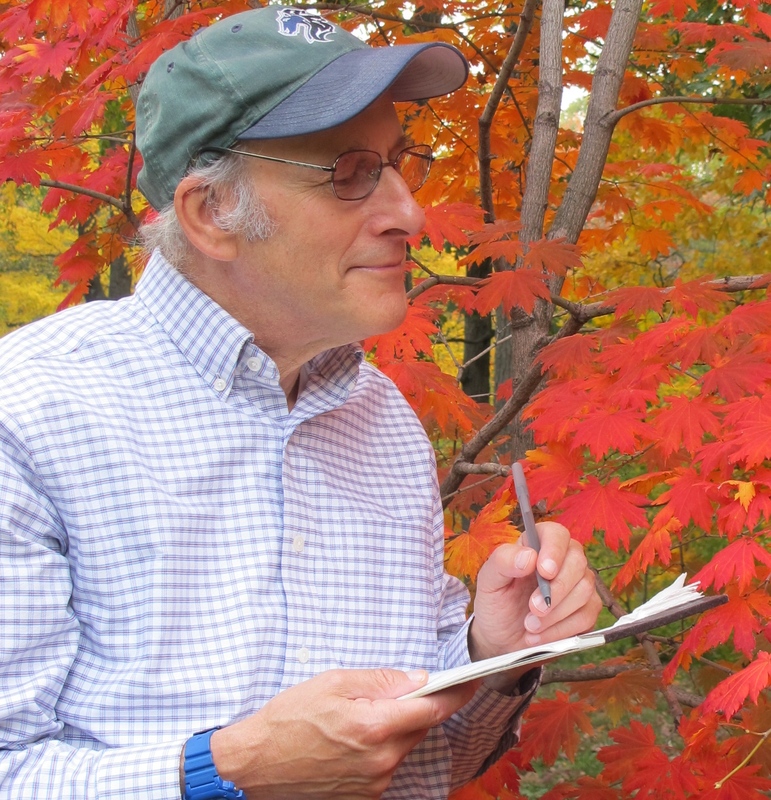 For the past seven years, we have collaborated with Robert Fahey and other Morton researchers to monitor leafing out times, leaf senescence times, and fruiting times as part of an international network of botanical gardens. The Morton, founded in 1922 by the owner of the Morton Salt Company, is a scientific institution with taxonomic collections similar to the Arnold Arboretum and with a special focus on urban street trees. 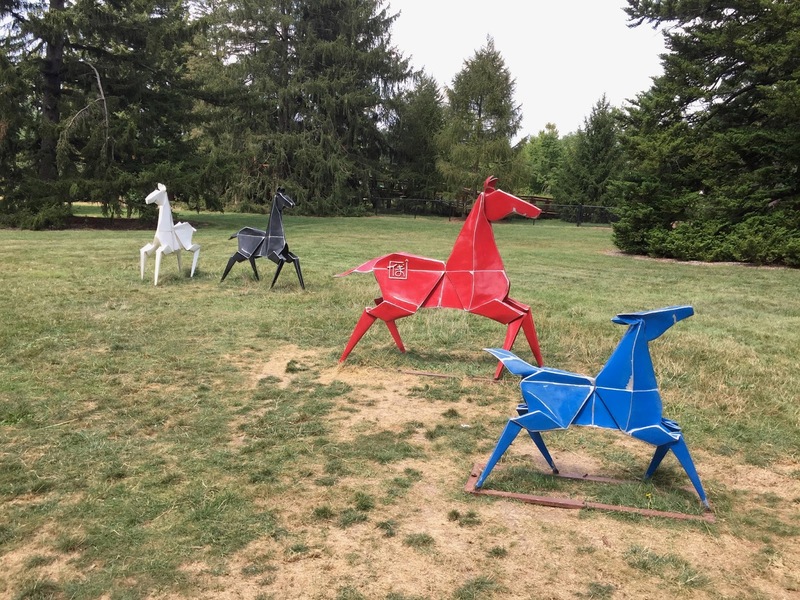 The Morton also has strong outreach to the public, as indicated by flower displays, a visitor center, and appealing exhibits such as the origami sculptures scattered around the grounds. My host Chuck Cannon, Director of the Center for Tree Science, has many interesting parallels to my own career, having studied at the same universities, worked in Malaysia and China, and shifted from tropical ecology to climate change biology. Libby Ellwood's Sept 12th @TerriersAtWork twitter takeover! Libby Ellwood, Primack Lab alumna and researcher extraordinaire, will be taking over the @TerriersAtWork twitter account next Tuesday, September 12th! She will walk us through a day at her fascinating job at the La Brea Tar Pits and answer questions along the way. Amanda: Hi Libby! What are the La Brea Tar Pits, and why are they special? Libby: The La Brea Pits are located in urban Los Angeles, California. Technically, the tar pits are asphalt seeps. Asphalt deposits from deep underground have found their way to the surface due to tectonic activity along the San Andreas Fault. The asphalt forms viscous pools which become covered in leaves, dirt, and water. Unsuspecting animals get trapped in the asphalt, then predators attack the trapped animals and become trapped themselves. The asphalt has preserved the dead organisms, leaving us with an incredible record of plants and animals from the late Pleistocene epoch, 40,000-11,000 years ago. There are very few places in the world where this combination of geologic history has occurred to produce asphalt seeps. Also, fun fact: La Brea is Spanish for "the tar", so The La Brea Tar Pits can be translated to the the tar tar pits! A: So, what is your job at The The Tar Tar Pits? L: I'm a Research Fellow working on a National Science Foundation-funded project to reconstruct ancient food webs. For a long time, scientists were mainly interested in the saber-toothed cats, dire wolves, mastodons, and other macrofauna -- and who can blame them, those are really cool animals! In order to get a more complete picture of ice age ecosystems though, we need to take a closer look at the smaller organisms. In this project, we are piecing together smaller elements of the food web, like plants and small mammals, to better understand why species go extinct and how species cope with climate change. My part of the project is to develop citizen science activities that engage students in sorting microfossils as they learn about food webs. With a little bit of training, non-scientists can sort through fossil materials, pull out plant and mammal bits, and therefore directly contribute to piecing together ancient food webs! A: If you had to choose, what would you say is the best part of your job? L: La Brea is an active excavation site. Every day, scientists are chipping away at blocks of asphalt and are uncovering all kinds of fossils, everything from rabbit teeth to ground sloth ribs. A short walk to the excavation area makes for a thrilling lunch break! And after excavation, I get to share the thrill with citizen scientists and volunteers, who play an important role in evaluating the massive amounts of excavated material and readying it for direct application in research. 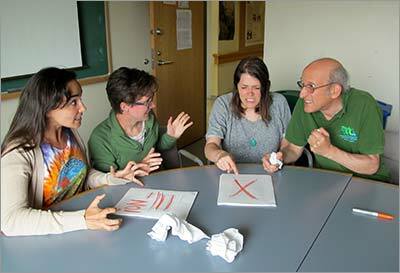 A: What skills from your time at BU and in the Primack Lab do you use most now? L: My time at BU, and specifically in the Primack Lab, prepared me well for the highly collaborative and cross-disciplinary research that I am currently undertaking. I regularly work with paleontologists, ecologists, educators, geologists, and citizen scientists, to name a few. My experiences at BU provided me with a solid foundation from which I feel comfortable learning about new areas of research, working with people from a variety of backgrounds and disciplines, and collaboratively working towards a common goal. A: We are very excited for your Terriers@Work twitter takeover! What will your main message be? L: In the twitter takeover, I'll have a few related messages. I'll be tweeting about La Brea and the awesome research that takes place here. I'll also be providing information about our food webs project, the amazing researchers involved, and our plans for the work. And I'll be tweeting about the citizen science aspects of the work at La Brea. More broadly, I'll be encouraging people to take part in citizen science projects near them. Contributing to scientific research is a great way to be active and make a difference in your community. I'll be answering questions along the way, so please ask away! 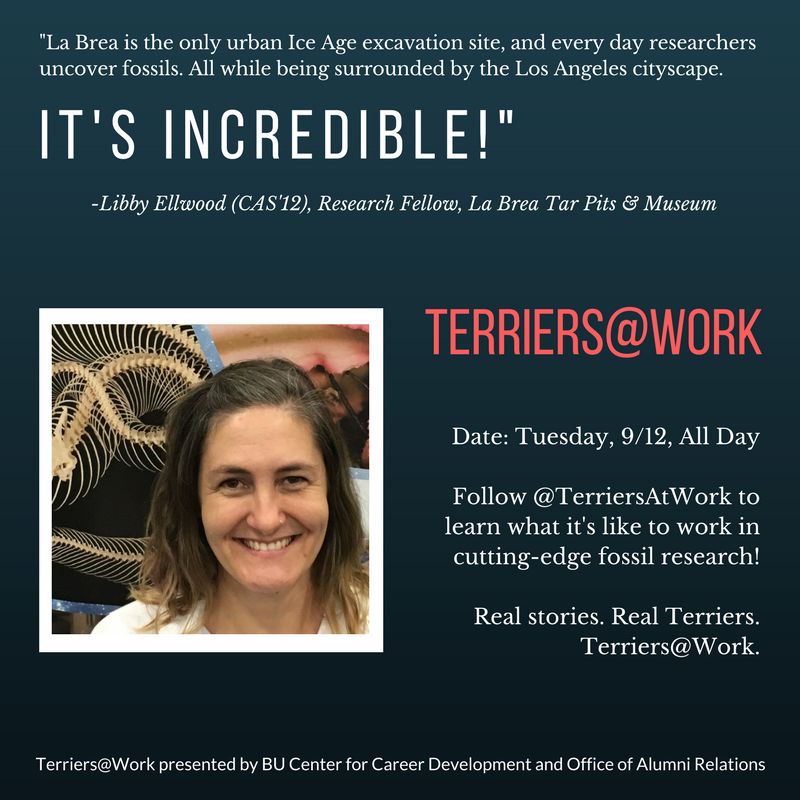 To hear more from Libby Ellwood, and to ask her your questions, follow @TerriersAtWork on twitter to catch Libby's takeover, all day on September 12th! You may have missed some big changes happening in conservation in China. While the international media focuses on China’s difficulties with pollution, the government is investing hundreds of millions of dollars in improving and expanding its system of national parks and other protected areas. This is a huge and welcome change for one of the world’s largest and most biodiverse countries. Chinese authorities are investing in their protected areas in a characteristically Chinese manner—with big infrastructure investments, strong top-down control, and an emphasis on economic development. Will this approach be good for the conservation of biodiversity? To answer that question, in a recent article in Biological Conservation, we compare the development of protected areas in China to their development in the United States, where the concept of national parks originated. We take a particularly close look at Wudalianchi National Nature Reserve in northeastern China and Acadia National Park in the northeastern United States. Despite the huge investments, a suite of obstacles make it difficult for protected areas to truly protect the natural resources within their boundaries in China. The situation is better, although not without problems, in the United States, which has a much longer history of creating and managing protected areas. Of most consequence, financial investments are insufficient to meet the needs for protected area science, management, and education in both China and in the United States. Both countries are, however, experimenting with techniques that could improve things. For example, in places the Chinese government is working to improve relationships with local communities through formal agreements with displaced people or cooperation among local, provincial, and national governments. The US government is using citizen science and volunteerism to engage new audiences. 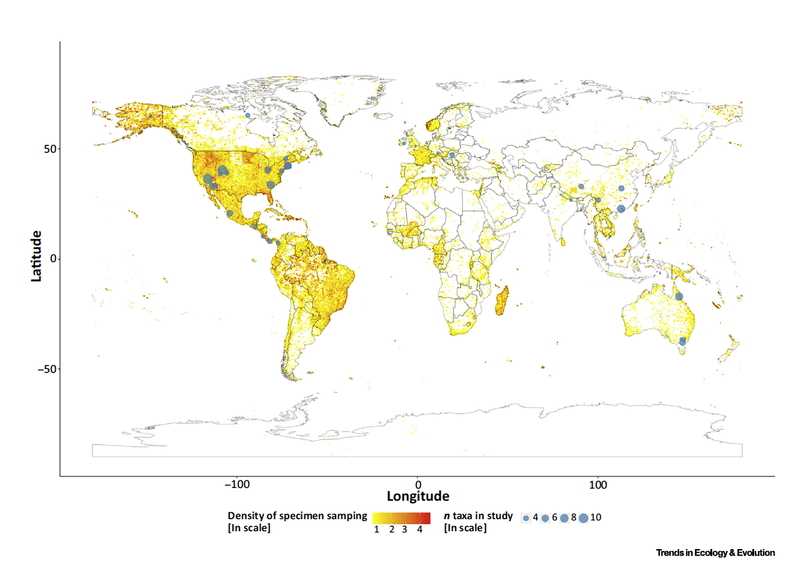 In the end, we conclude that each country's approach to protected areas has strengths and weaknesses, but that the Chinese and US protected areas programs have structural deficiencies, particularly related to the allocation of funding, that undermine their ability to achieve their stated missions over the long term. We hope that both countries continue to work to improve their conservation programs and protect their rich natural resources. 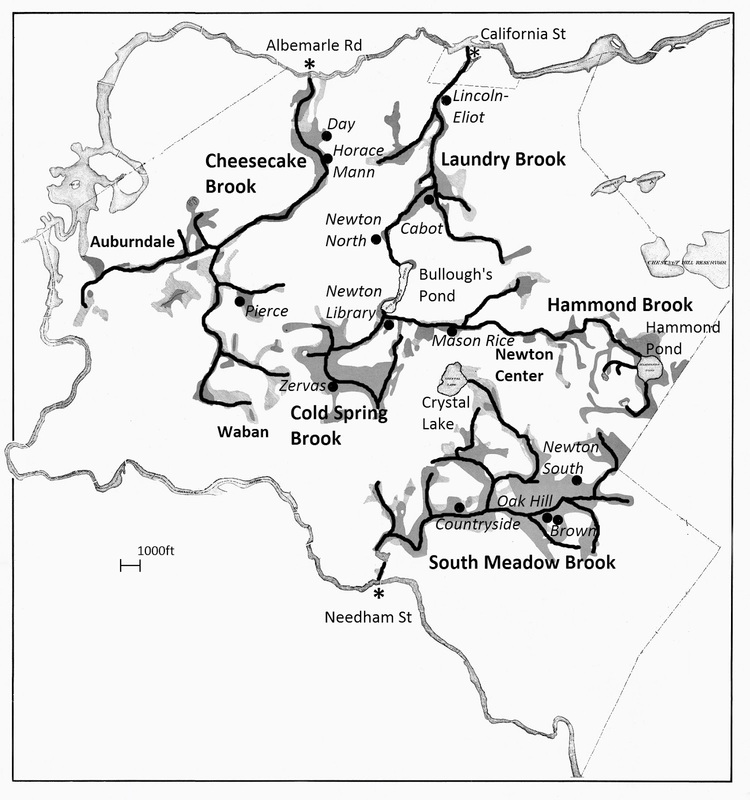 Until about 120 years ago, Newton, MA, was filled with wet meadows, marshes, and swamps, connected by miles of brooks. Where did they go? 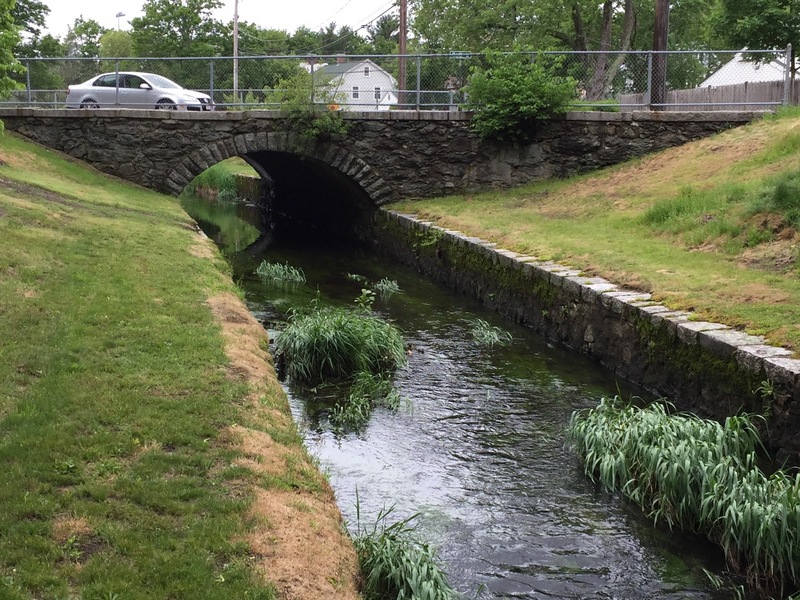 In an article published June 7 in the Newton Tab, I explain how over the past two centuries, as Newton changed from farming to industry, and then to a Boston suburb, developers and town workers buried brooks in culverts or put them into channels. Wetlands were filled in and became the sites of playgrounds, schools, other public buildings, and residential neighborhoods. The forgotten brooks and wetlands of Newton are periodically remembered when basements, streets, and playgrounds become flooded after heavy rains. Modified 1892 drainage map showing the main brooks and associated wetlands, with the current position of some schools and village centers and the Newton Library. Map by Matt Rothendler. Many New England towns are revisiting past decisions to bury and channelize brooks. Some towns are uncovering buried streams and removing the vertical walls of channels, allowing streams to re-integrate with wetlands. 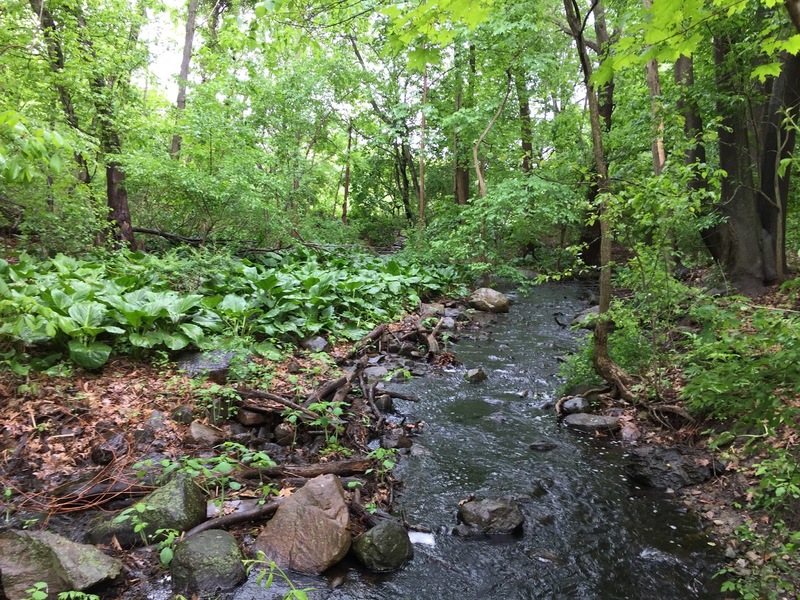 Restoring brooks to something closer to their original condition and adding natural vegetation could help clean the brook’s water, reduce flooding, provide natural water features, and improve the recreational value of playgrounds, parks, and neighborhoods. Cheesecake Brook appears wild and well-integrated with the surrounding forest along Fuller Street. Returning brooks to their natural state is expensive in the short term, but in the long run the economic, environmental, and recreational benefits to the people and businesses of Newton might be worth it. After a long history of channelizing and burying brooks and filling in wetlands for development, Newton’s future could benefit from undoing some of its past. Cheesecake Brook is channelized and separated from natural habitat along Albemarle Road. Hi! We are two new members of the Primack lab: Linnea Smith (yes, like Carolus Linnaeus), an undergraduate at Boston University who’s joined the Primack lab for the summer with funding from the BU UROP program; and Sarah Pardo, a rising senior at BU Academy. We are investigating how many years evergreen plants at Harvard University’s Arnold Arboretum retain their leaves, and why. Ecological theory suggests that a leaf stays on the branch, photosynthesizing, until it’s made a profit on the energy that went into making it. We want to determine if the amount of time a leaf remains on a plant is more influenced by the original environment in which the plants grow, or their evolutionary history. When tree branches begin growing in the spring, a scar is formed on each twig where bud growth had halted the previous winter. By counting the number of scars, we can determine the number of years of twig growth and leaf formation on a tree branch. For example, say a twig has leaves on seven scar-separated segments and no leaves on the eighth segment or beyond. This tells us that leaves stay on that twig for seven years. So far we have evaluated 173 species including conifers such as pines, firs, spruces and hemlocks and other evergreens like rhododendrons and hollies. We’ve both really enjoyed our work in the Primack lab so far and appreciate the warm welcome we’ve been given! Herbarium specimens offer a unique opportunity to measure changes in plant phenology over broad time periods and geographic ranges. 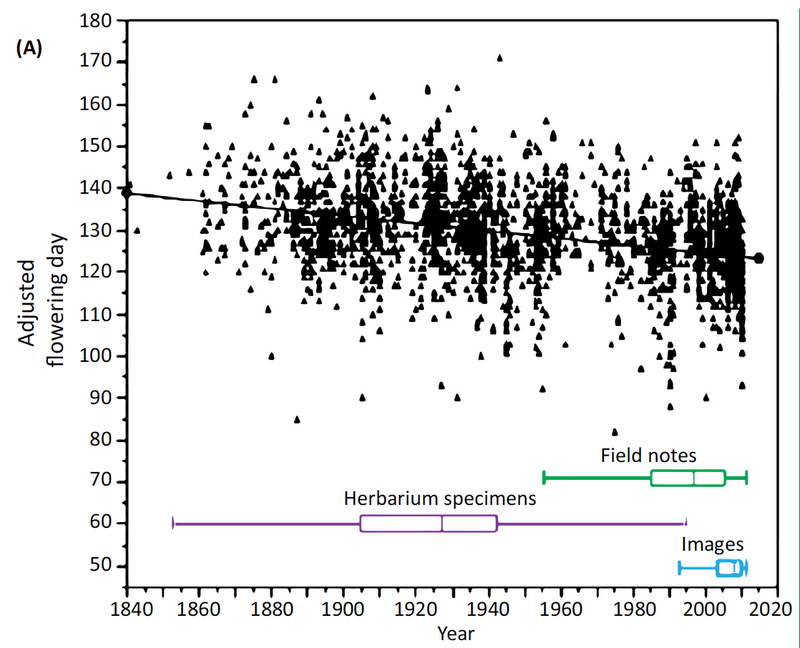 Many of the specimens currently housed in herbaria were collected in the 19th and 20th centuries, but in just the last decade there has been a huge increase in herbarium-based phenology research-- particularly addressing modern questions about how plants are responding to climate change. Panchen et al., 2012 used herbarium specimens, combined with field notes and photographs, to show that 28 plant species in Pennsylvania are advancing their flowering over time. 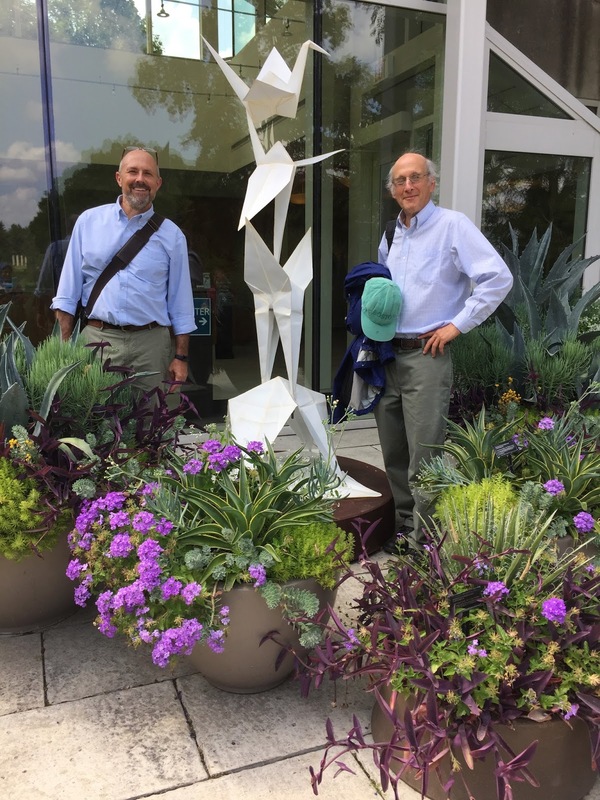 Earlier this year, Richard Primack and I were co-authors on a review paper led by Charlie Willis entitled "Old Plants, New Tricks: Phenological Research Using Herbarium Specimens." The review, published in Trends in Ecology & Evolution, provides a thorough assessment of how herbarium specimens have already been used in phenology research, with most studies focusing on flowering, in northern, temperate biomes. Willis et al. (2017) Figure 1, shows where previously published herbarium-based phenology studies have been located (studies are indicated with blue circles; the larger the circle, the more species sampled). The heat map shows the source of digitized specimens (available via the iDigBio portal), which included 1.8 million specimens as of February 2017! We also discuss the future of herbarium specimens, with a special focus on the widespread digitization efforts currently underway. Digitized specimens are already being used by researchers to access more specimens in more locations than they could visit in person, and to use citizen science efforts to identify phenological stages online. Lastly, we review the biases inherent in using herbarium specimens, from those that arise during collection, to digitization, to observation. CrowdCurio is a web-based platform for identifying phenological stages on digitized specimens. In this case, citizen scientists could identify buds, flowers, and fruits on a lowbush blueberry specimen. 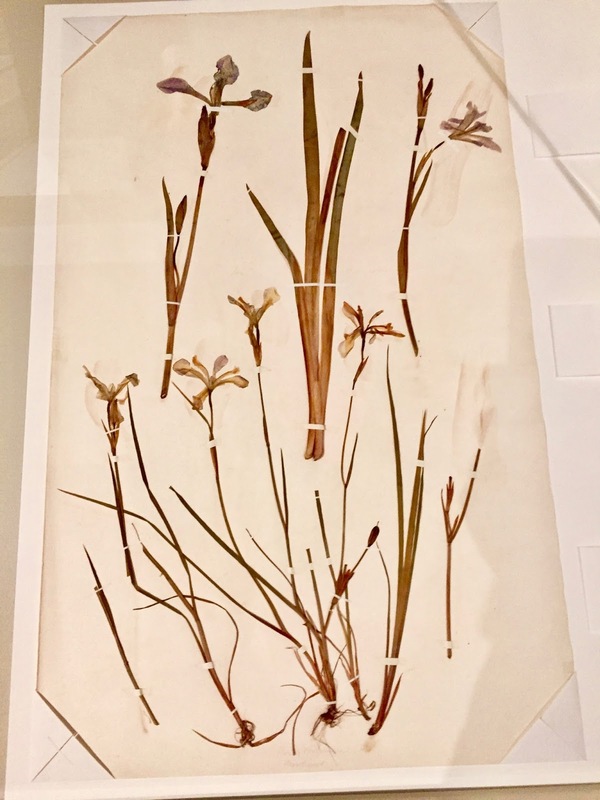 For our part, we plan to continue using herbarium specimens--including digitized specimens--to improve our understanding of species-specific effects of climate change, in both spring and autumn!